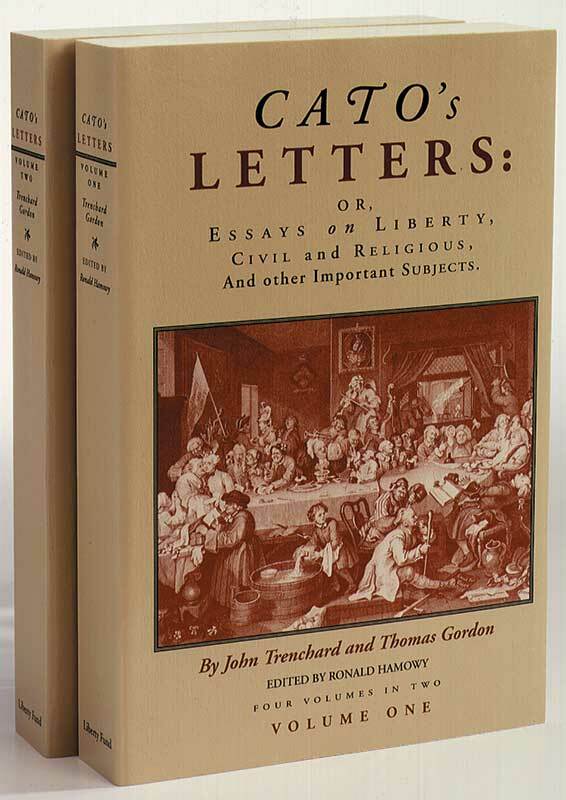 Almost a generation before Washington, Henry, and Jefferson were even born, two Englishmen, concealing their identities with the honored ancient name of Cato, wrote newspaper articles condemning tyranny and advancing principles of liberty that immensely influenced American colonists. The Englishmen were John Trenchard and Thomas Gordon. John Trenchard (1662–1723) devoted himself to writing on contemporary British politics and for one year was a Member of Parliament from Taunton. Thomas Gordon (ca. 1695–1750) was a tutor in languages, a publisher, and a pamphleteer. Ronald Hamowy was Professor Emeritus of Intellectual History at the University of Alberta, Edmonton. Vol. 1. Introduction, publishing history, editor's note, a note on the dates of Cato's Letters, a note on the notes. Vol. 2. Index for both volumes.